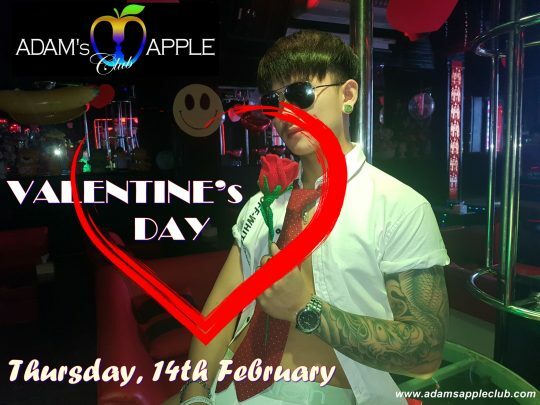 We will celebrate Valentine’s Day 2019 @ Adam’s Apple Club Chiang Mai on Thursday, 14th February. 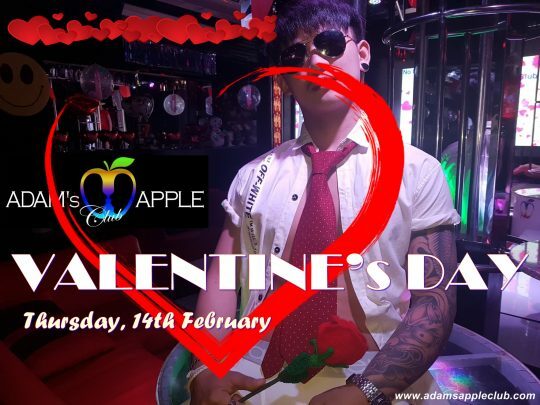 The best Party in Chiang Mai for Valentine’s Day in 2019 definitely at Adam’s Apple Club Chiang Mai. Welcome everyone he like fun and unforgettable moments in his Gay Life. We are happy to welcome you to this February Highlights in our Gay Bar on Thursday, 14th February @ Adam’s Apple Club Chiang Mai.